Industries are the backbone of the world’s economy, Every industry thrives to be the best in their market. Whatever your industry, you are faced with ever-increasing expectations like Reduce Costs, Manage Risk, Optimize Supply Chain, Improve Customer Experience, Increase Revenue & many more. 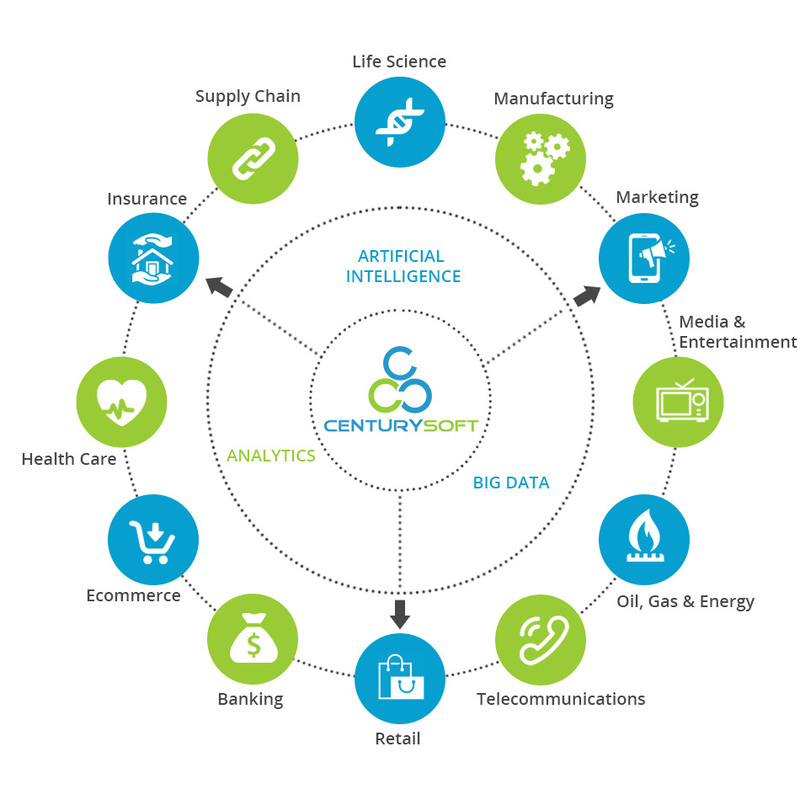 Centurysoft provides a holistic view of the market and how a company competes within that market with the help of our Deep Industry Knowledge and Robust Analytical Environment. Our company provides Artificial Intelligence, Big Data and Data Analytics Services to help your Industry reach new heights. E-Commerce, Health Care, Oil and Gas, Marketing, Banking, Insurance, Telecommunication, Retail, Manufacturing, Media and Entertainment, Life Science and Supply Chain.